New York City Diesel is famous for a strong cerebral effect that slowly evolves into a pleasant state of relaxation. Zambeza Seeds had no option than to breed these genetics, and to also release a sativa-dominant autoflowering version. It preserves the superb qualities of the feminized NYC Diesel, and can be seen as a shortcut to enjoy this quality smoke. NYC Diesel Autoflowering was created by crossing NYC Diesel with Ruderalis. This autoflowering variety stays rather compact throughout its short life cycle of 55-65 days. Indoor growers will cultivate plants that have typical heights of 60-90cm, yielding up to 300-350g/m². It shows a little more productiveness outdoors, and can produce up to 75-120g per plant, with most phenotypes staying below 100cm in height. It can be grown by anyone who has basic knowledge in cannabis cultivation. NYC Diesel Autoflowering is very similar to the feminized version. Smokers will most likely enjoy the energetic sensation of euphoria that will soon evolve into a state of being calm, relaxed, and stoned. It’s a versatile hybrid that is suitable for both daytime- and nighttime consumption. The flavours are a blend of the classic fuel-like Diesel aromas, contributed by hints of fresh lemon and sweet bitterness. Triple-A-ratings for this excellent smoke! THC levels were tested at 15%. 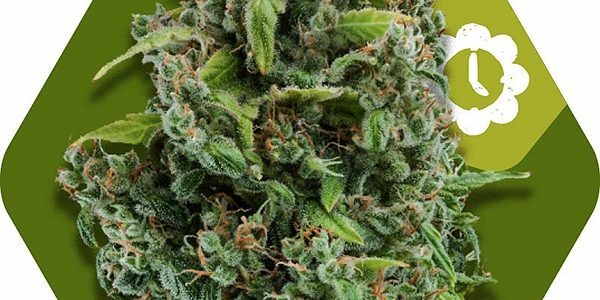 Growing a remarkable strain like New York City Diesel can only be a good decision. The autoflowering version lives up to the solid reputation of this strain, and is equally great in providing the desired effects and aromas. Why don’t you see for yourself if this sativa-dominant cosmopolitan is the right strain for you, and your next grow. The sooner you order, the earlier the harvest!